In the September 17, 2014 JAMA journal, a well documented evidenced-based review on the management of acute venous thromboembolism shows that in the majority of clinical cases the most recent guideline management strategy for this condition needs revision. What I am saying is that what once was an indication for hospital admission now can be managed as an outpatient. This has serious cost benefits and shows how innovation and progress in disease management continues to push hospital care into a horse and buggy industry. According to the article, venous thromboembolism (deep vein thrombosis or pulmonary embolism) is common and the third leading cause of cardiovascular mortality. If untreated this situation has a 25% mortality rate (that’s one in four chance folks). The traditional immediate treatment for acute (new,sudden onset) venous thromboembolism is parenteral (intravenous or injectable) treatment with either i.v.heparin, low molecular weight heparin subcutaneously or a synthetic factor Xa inhibitor known as fondaparinux (given subcutaneously) with transition to the oral blood thinner known as Coumadin® (generic name is warfarin, a vitamin K blocker). This method of management traditionally included intravenous heparin (blood thinner) drip protocols with frequent blood monitoring for dose management or subcutaneous heparin injections every 12 hours along with initiating the Coumadin® while monitoring the blood for evidence of adequate dose-effect. In our town I never saw the injectable fondaparinux used in the hospital for this. 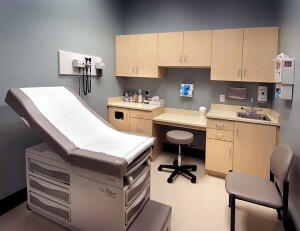 The current guideline management means 3-7 days in the hospital to assure proper blood thinning effect was demonstrated and then the patient goes home with frequent blood monitoring until treatment is completed (usually 3-12 months depending upon the patient’s history and doctor’s recommendation). I didn’t look up the Medicare DRG payment for this but I would suspect it is on the order of 12-15 thousand dollars. If home health was hired afterwards to monitor from home we are looking at another 2200 bucks. Without boring the readers (and the sophisticated patrons can click the link to the actual article to see the details) this analysis did a very decent job using the latest literature screening and statistical analysis tools to sort through 1197 studies that resulted in 45 worthy of analysis. Just under 45,000 patients and just under 21,000 patient-years of data was available to provide outcome analysis. Regardless of treatment protocol followed, the rate of fatal recurrent clots or fatal bleeding was extremely low (treatment is powerfully helpful). The question being asked was: “Given our newer, oral medication options, if patients are given these newer and more convenient treatment protocols, will there be a compromise in effectiveness of treatment or increased bleeding/symptomatic clot events?” The data indicates that the answer is “no”. Of all the treatment option protocols what is most interesting to note is that two of the protocols involved no parenteral (injectable) therapy. These two protocols resulted in no increased risk for events and actually lower severe bleeding events. The highest rate of recurrent clotting was actually in the intravenous heparin with transition to oral Coumadin® (warfarin generic name). THIS IS GAME-CHANGING folks. The two drugs that demonstrated this scenario were Eliquis® (apixaban is generic name) and Xarelto® (rivaroxaban is generic name), both known as factor Xa inhibitors. Both are now FDA approved for treatment of acute venous thromboembolism in the US. It looks like it is very reasonable and for this indication certainly much less costly to manage stable venous thromboembolic events at home as outpatients. Certainly there will be situations that require the hospitalization and parental protocol. Two such situations would be kidney failure subjects and person’s whose clot is so large and life-threatening that surgery for clot removal is recommended. Patients who are unstable and appropriately sick enough would also be treated “in-house”. In a prior blog on thedoctorsreport.net, I had informed my readers that the new anticoagulants were going to be game-changers. The initial indications sought and approved for these drug classes were for stroke prevention in nonvalvular atrial fibrillation. The ongoing evidence and clinical experience is showing these agents can be given for treatment and prevention (as in post-operative joint replacement and persons with histories of recurrent clots) of acute venous thromboembolic disease.